You scream, I scream, we all scream for ICE CREAM! This 3-dimensional CHARM IT! 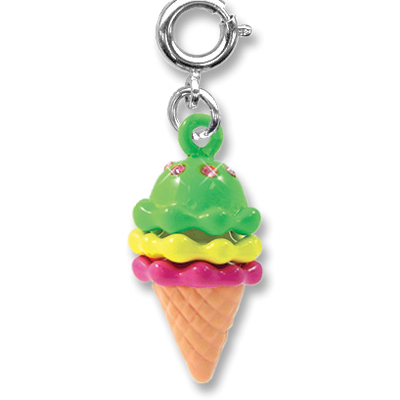 Ice Cream Cone charm is sure to be a favorite with its triple scoop of fushia, yellow, and lime ice cream, topped with sparkly pink acrylic stones. With a simple snap of a clasp, girls can personalize their CHARM IT! jewelry with this CHARM IT! 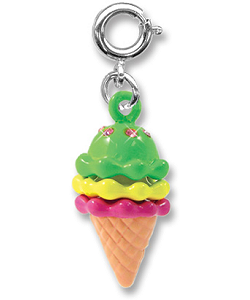 ice cream cone charm.